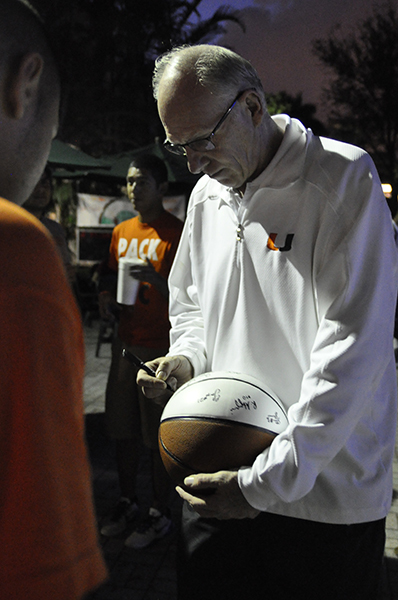 Jim Larranaga – the AP National Coach of the Year – and the Hurricanes were presented a plaque and a basketball signed with messages from supporters. 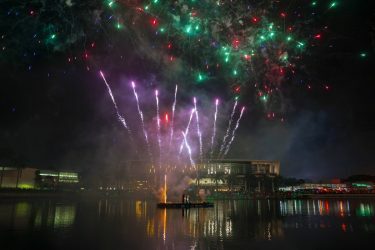 The basketball team will appear at the Miami baseball game against Clemson at 7 p.m. Saturday night to throw out the first pitch. Fans can also greet the players and get autographs after the pitch.